The central idea of Einstein’s theory of gravity is the principle of equivalence. That is, objects will fall at the same rate under gravity regardless of their mass or composition. As long as there isn’t air resistance, a feather and a bowling ball dropped at the same time will strike the ground simultaneously. But what if one object is rotating and another is not? Will they fall at the same rate? We know that the rotation of a body can affect how things fall. When a body such as Earth rotates, it creates an effect known as frame dragging, which twists space and time slightly. Computer simulations of merging black holes show that two rotating black holes would merge at a different rate than if they weren’t rotating. So on a large scale gravity is affected by rotation. 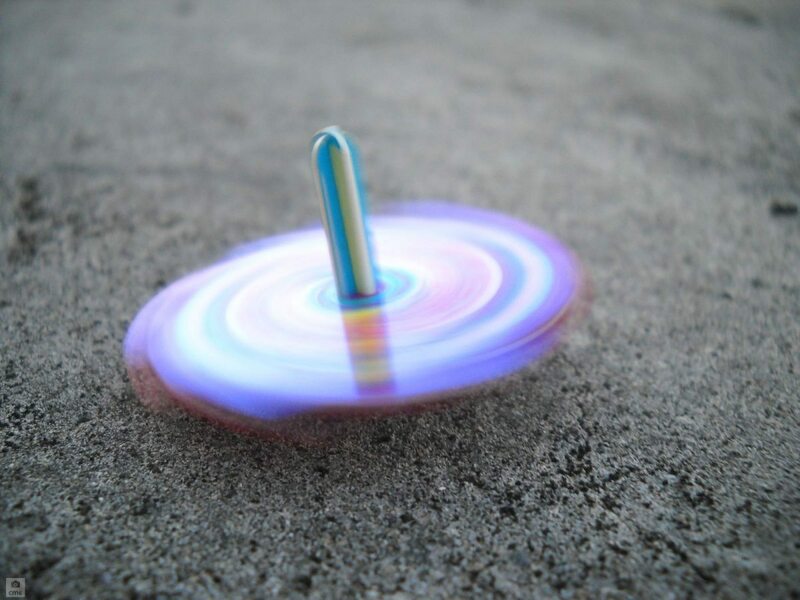 This has led some theorists to wonder whether such a rotational effect might be a way to connect Einstein’s gravity with the quantum theory of atoms and molecules. It turns out that atoms and other quantum particles have a property known as spin. If we imagined an atom as a small sphere, we can imagine its spin as the rotation of that spin. The catch is that atoms are not little spheres, and spin is not physical rotation. Spin is an inherent property of a quantum object that behaves similar to the type of rotation we see every day. So, would an atom with spin fall at a different rate than one without spin? More specifically, does the principle of equivalence hold for quantum objects with spin? A recent experiment tested this question by comparing the free fall of rubidium atoms with different orientations of spin. The team compared the gravitational acceleration of atoms with spin +1 and -1. To use our rotating sphere analogy, this would be like comparing a sphere rotating clockwise about its north pole vs one rotating counterclockwise. They found that the two orientations of spin fall at the same rate to within 1 part in 10 million, which was the limit of observation for their experiment. In other words, spin has no affect on the rate at which an atom falls. This result isn’t entirely unexpected. It’s been generally thought that the equivalence principle holds for both classical and quantum objects. The experiment does, however, rule out some of the more radical models trying to unify gravity and quantum theory. Now we know the equivalence principle holds even for a quantum top. What happens to spacetime which has reached the center of the Earth? hat s a bad experiment. It didn’t prove/disprove that spinning objects fall/attracted at different rates when compared to non-spinning objects. It only proved that there is no apparent difference between clockwise and counterclockwise spins. Nope. There are no inherently “non-spinning” things in the Universe (with a notable exception of a Higgs boson). Anything with a spin of zero is actually a system of spinning particles whose spins add up to zero.